I have something to share with you all. I’m pregnant with baby b number 2! This time we got pregnant so quickly, in fact within a month of trying. Why couldn’t it have been this easy first time around? It took us 3 years to get baby girl. We are so excited and I still cannot quite believe it, but then reality hits when my head is down the toilet for the third time that day. This time I have been struck down by horrendous morning sickness. I have been sick many times each and every day for about 7 weeks. It’s tiring and draining, but I have found my inner strength from somewhere to get up carry on with work and keep everything the same for baby girl. She has taken to holding my arm or holding my shirt when I’m being sick. It’s so cute. She will be around 2 years and 2 months old when baby no 2 arrives. I’m very pleased with that age gap. As I’m entering the second trimester now the sickness is easing thankfully. I’ve had that horrible metallic taste in my mouth for weeks. Eating as many wine gums as I can to try and remove the taste hasn’t worked! My cravings so far has been the same as my previous pregnancy – steak and pastry. So steak pies and Cornish pasties have been my go to foods. I’ve been making sure I eat plenty of dairy for calcium. Each evening I’ve been having a yoghurt after I have thrown up my tea! I went in for an early scan at 6 weeks due to my previous miscarriage history and I needed a piece of mind. Booking in appointment at 8 weeks. This was fun with a teasy 18 month old who just woke up from a nap. I had to hold her while the midwife was taking blood. I did a Carbon Monoxide test which was new for me. I hadn’t had one with baby girl. I received my green notes pack and Bounty folder with some free samples. My maternity exemption card which I have already used for an emergency dentist visit. I have been in agony with one of my teeth but the dentist couldn’t find anything wrong, is problem teeth a pregnancy symptom? Oh and a pee pot for next time! How could I forget having to carry around pee samples with me all the time?! Dating scan at 13 weeks. We got to see our little bubba! Seeing that little baby with its arms next to its head and feet crossed (exactly like the scan we had with baby girl!) was an emotional moment. Well Kate Middleton you are not the only one to be having a baby in April!!! 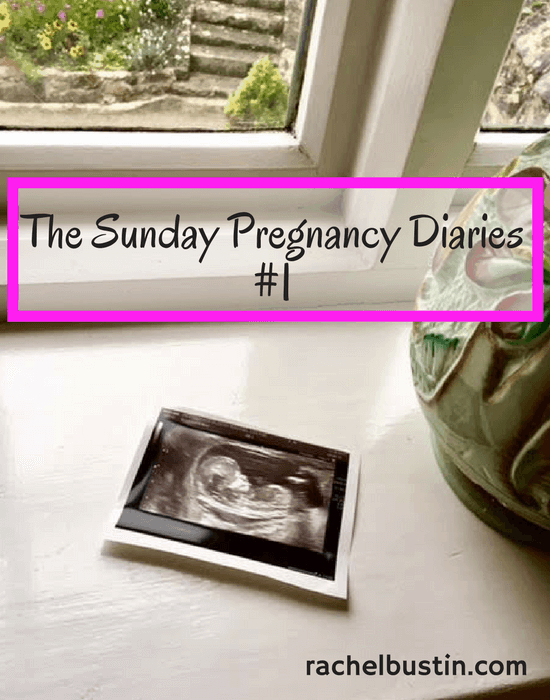 So that’s about everything for my first Sunday Pregnancy Diary entry. 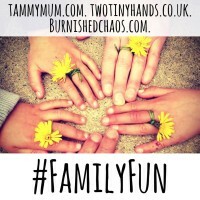 I’m not sure if I will get to publish an entry each week, but we will see. Wow, congratulations! Such an exciting time and so sweet that your daughter has been taking care of you when you’re being sick, bless her. She’s going to make a great big sister. Congratulations! My Doll was 1y9m when little Poni was born. Unlike you, i didnt have to suffer through morning sickness though. Which sounds horrible (I would be very disappointed to throw up my tea). Good luck! Again, congratulations Rachel! Things seem to be going great. Very happy for you!